This recipe is going on my favorites list. 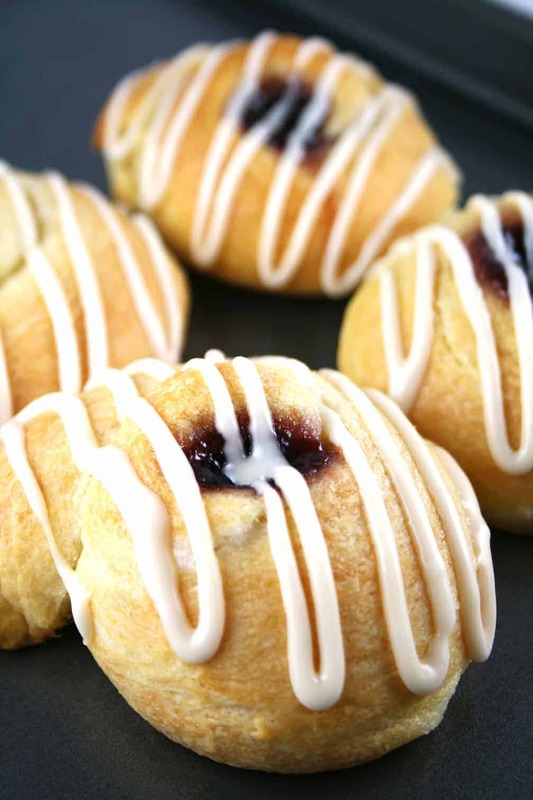 Have you ever wanted to make a danish that tastes just like the ones at the bakery? Then this is the one for you. 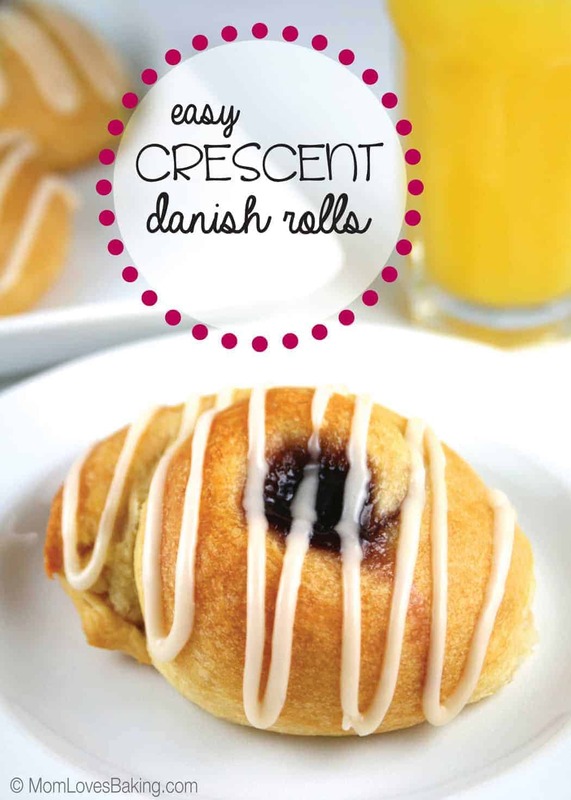 Easy Crescent Danish Rolls was 1 of 2 winners at the 26th Pillsbury Bake-Off in 1975. 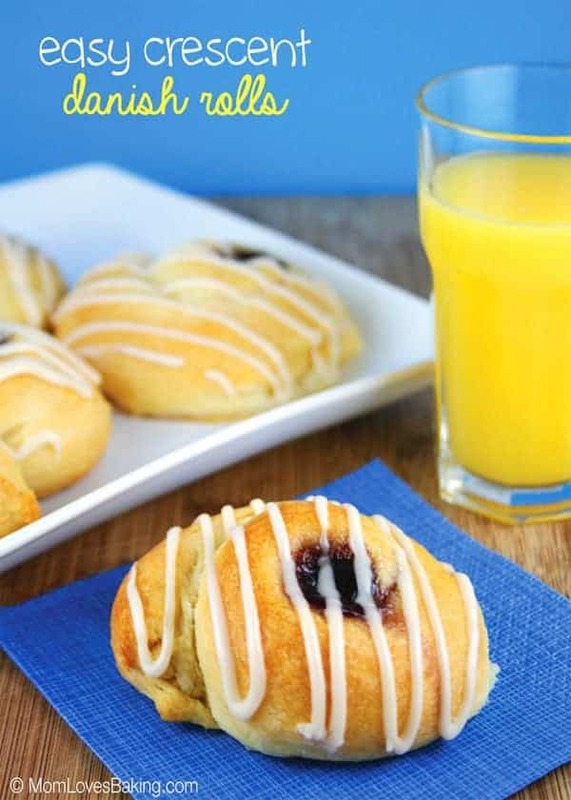 Recipe on Pillsbury.com by Barbara S. Gibson of Fort Wayne, Indiana. 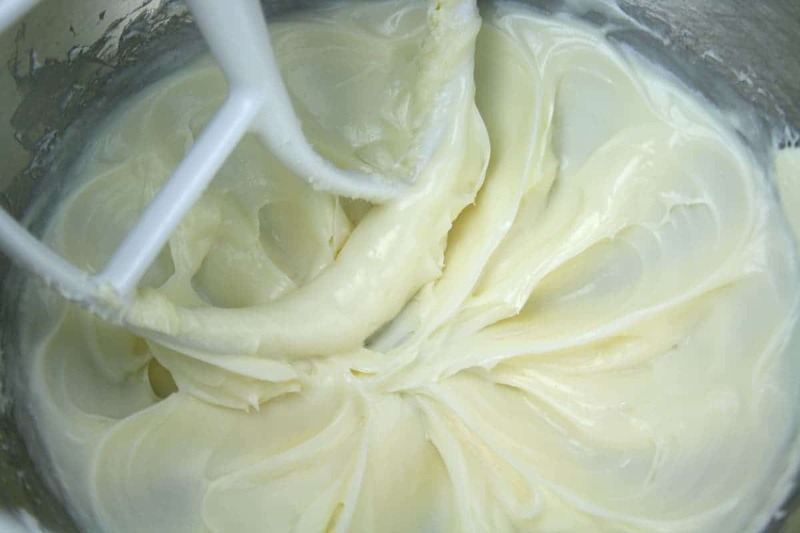 In small bowl, beat cream cheese, sugar and lemon juice until smooth. Separate dough into 8 rectangles; firmly press perforations to seal. 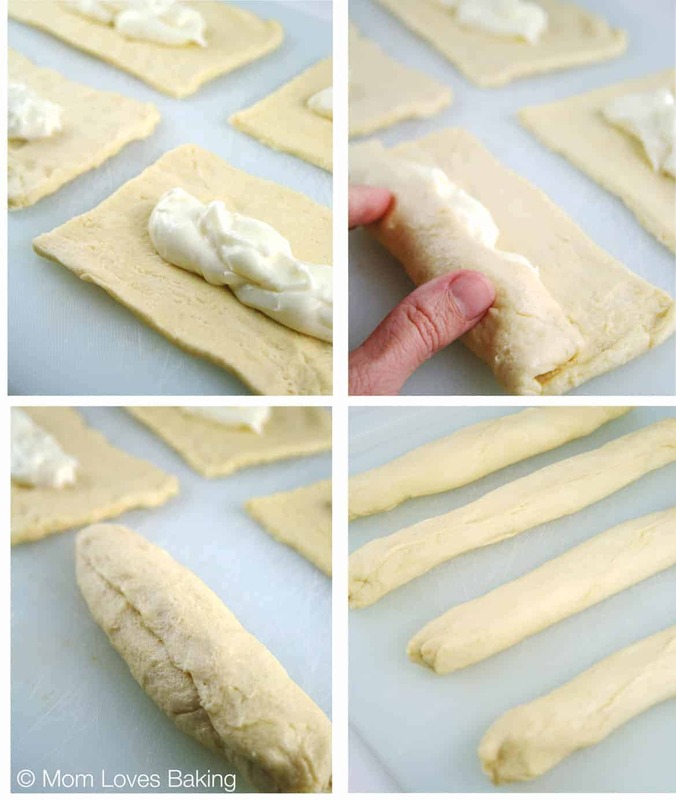 If using dough sheet, cut dough into 8 rectangles. Spread each rectangle with about 2 tablespoons cream cheese mixture. Roll up each, starting at longest side; firmly pinch edges and ends to seal. Gently stretch each roll to about 10 inches. On ungreased large cookie sheet, coil each roll into a spiral with seam on the inside, tucking end under. 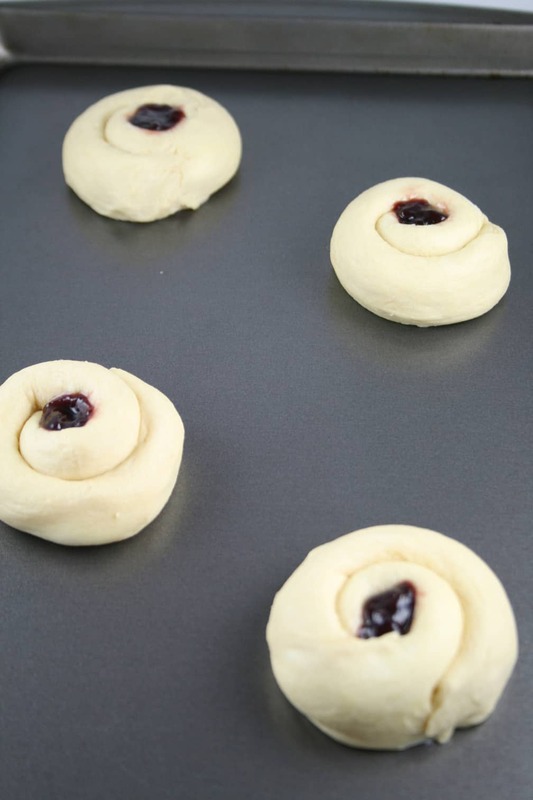 Make deep indentation in center of each roll; fill with 1/2 teaspoon preserves. I used raspberry. Then you bake them for 20 to 25 minutes or until deep golden brown. In small bowl, mix glaze ingredients, adding enough milk for desired drizzling consistency. Drizzle over warm rolls. These are so easy and so good. You’ve gotta try ’em! If using crescent dough, separate dough into 8 rectangles; firmly press perforations to seal. If using dough sheet, cut dough into 8 rectangles. Spread each rectangle with about 2 tablespoons cream cheese mixture. Roll up each, starting at longest side; firmly pinch edges and ends to seal. Gently stretch each roll to about 10 inches. On ungreased large cookie sheet, coil each roll into a spiral with seam on the inside, tucking end under. 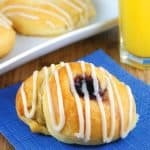 Make deep indentation in center of each roll; fill with 1/2 teaspoon preserves. Bake 20 to 25 minutes or until deep golden brown. In small bowl, mix glaze ingredients, adding enough milk for desired drizzling consistency. Drizzle over warm rolls.